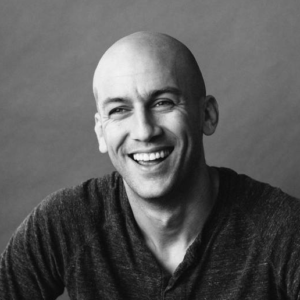 Hey everyone, In today’s episode, I share the mic with Ari Meisel, Author, Entrepreneur and Co-Founder of Less Doing. Tune in to hear how Crohn’s disease forced Ari to come up with the idea for Less Doing, how doing less can actually optimize your workflow, and why Fortune 500 companies and government agencies seek their help. [00:42] Before we jump into today’s interview, please rate, review, and subscribe to the Growth Everywhere Podcast! [01:25] Ari works with entrepreneurs to set up systems to empower teams. [02:14] At 23, Ari was diagnosed with Crohn’s disease, which limited his ability to do work. [02:30] Stress caused flare-ups, so he had to create new ways to get more done in less time. [02:40] Less Doing was born out of a personal need. [04:30] The overarching framework that he teaches people is to optimize, automate, and outsource. [05:55] Look at the things you are doing more than once, break it down into steps, and find ways you can avoid doing this repeatedly. [07:15] Ari has a mastermind coaching program. [07:35] On the consulting side, they have automated the hiring process using apps like Trello and WuFu. [08:04] The academy program that the business runs is $99/month. [08:07] The mastermind program is $2000/month. [08:30] When he started Less Doing, he was running it solo. [08:35] 3 years ago, he started a virtual assistant company with a co-founder. He ran that for two years and then left to refocus on Less Doing. [09:45] Ari makes sure to put out a lot of content, which he believes is what he does best. [10:40] Less Doing has worked with Fortune 500 companies and government agencies. [10:52] The majority of people they work with range from $200,000 and $3 Million in revenue. [12:15] Less Doing takes the customer journey very seriously. [12:44] They get a lot of business through referrals. [15:00] The academy leads into other courses including the mastermind program. 6] Ari is currently working on his 9th book. [17:20] When you go with a big publisher, you have very little control over marketing and other aspects of publishing and promoting a book. [18:50] Self-publishing gives you more control and you can get the content out much more quickly. [19:30] Thunderclap is a service where you could get people to sign up with their Twitter or Facebook account and you could send messages out through their accounts. [20:00] Nouncy has replaced Thunderclap, as the latter no longer providers that service. [20:30] Ari loves Intercom and thinks it is one of the greatest tools out there. [21:30] Ari recommends the book Barking up the Wrong Tree.